Review the history and origin of Reiki, its three degrees of attunement and the basics of Reiki theory. 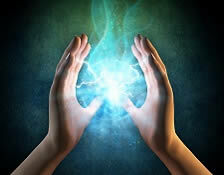 Explain how Reiki practitioners use various hand positions during a typical Reiki session. Evaluate how Reiki can effectively be used in a hospital setting and the importance of proper documentation of a Reiki session. Understand how Reiki can be used to reduce the effects of physical and psychological trauma.